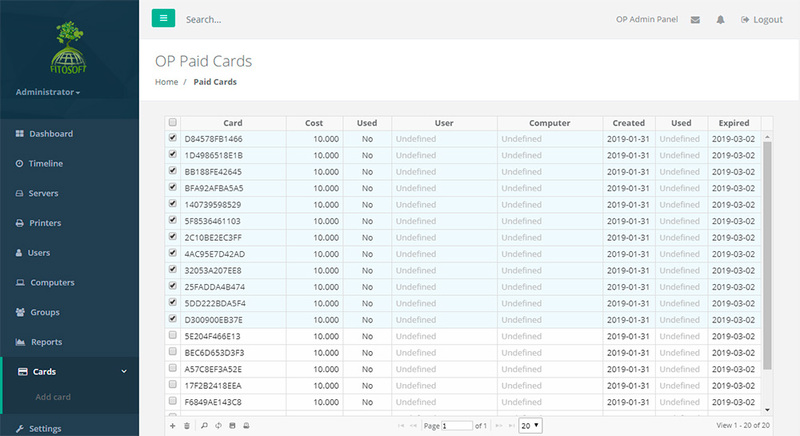 A Prepaid Print Card system allow users to purchase print cards in case their print quota is exhausted. • A web page for creating new cards. • A web page for end-users to enter card numbers. Click on Cards in the Navigator Pane. Enter the number of cards, the cost of each card and the expiry date. 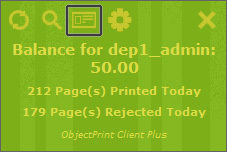 A new window opens and displays a print dialog box. Logon to the OP server as a user. To increase the balance of the OP Client Account, click the 'Activate PaidCard' button. 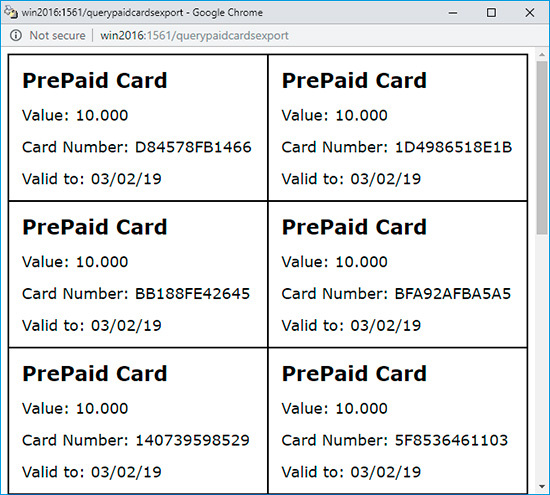 If a user has a valid prepaid card, type the code in the space provided, select the appropriate account and the OP server and click on the 'OK' button to update the subtotal. Click on the Paid Card icon. A dialog will prompt you to enter the Paid Code. If you wish to enable OP Client and OP Client Plus for this server, check the ‘Enable OP Client’ and ‘Enable OP Desktop Client’ checkboxes in the General Settings. 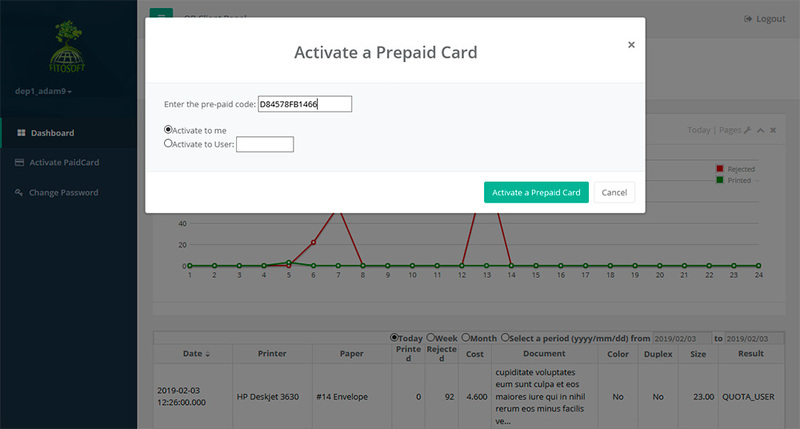 Click ‘Enable Prepaid cards’ to enable any prepaid cards.